Amazon Ghost (Amazon Stealth eBook) is the ultimate guide to getting back on Amazon after an account suspension. The Amazon stealth (Amazon Ghost) eBook guarantees safe and secure methods to create new Amazon seller accounts safely and without being linked to any other account. All techniques incorporated have been heavily researched and tested. If you have been blocked by Amazon and you want to know the secrets to creating a new seller account and continue selling then you need Amazon Ghost (Amazon Stealth eBook). Automatic Updates – When a new version of Amazon Ghost is released you will get any updates free and instantly! Amazon Ghost (stealth eBook) is updated often so you’re always one step ahead. Remain Anonymous – Learn how to remain anonymous and how to protect your accounts from linking. Amazon is no slouch, their tracking is second to none. Learn everything you need to know to safely create a new account while staying anonymous. This works for other websites as well! Creating Multiple Accounts – Learn how and why you need to run with multiple accounts. Amazon Ghost will show you step-by-step how to create multiple accounts to sell more! The more accounts you have the more you can sell. Amazon Ghost (Amazon Stealth eBook) was designed to get you back on Amazon after an account suspension. If after being blocked by Amazon you try and create a new account, you will surly be linked and shut down in no time. Amazon tracks your IP Address, browser cookies, flash objects and more to link your accounts and shut you down. Most people are unaware of this and will unsuccessfully try to create new account after new account. It just doesn’t work without the right information. Mistakes happen and that’s why Amazon Ghost is here. Learn how to get your Amazon business back and continue selling for years to come! What is Amazon Stealth? The term ‘stealth’ in association with Amazon and eBay was coined by members of the eBay Suspension and PayPal Limited forums years ago to give name to the process of creating unlinked eBay, PayPal and Amazon seller accounts. It was first seen with eBay Stealth in 2008 which was created by aspkin and Mik3 (from of the above mentioned forums) and then again in 2010 with the release of Amazon Ghost, another guide by aspkin. The process of creating an Amazon stealth account is much more involved then it is with eBay and PayPal. It’s not a simple task of removing browser cookies and Flash objects and then going from there. Amazon tracks your browser footprint including user agent, headers, plugin details, time zone, system fonts, etc. Also your IP address, browser cookies, name, email address and much more. In essence a stealth account means new personal account details. That’s the easy part. The hard part is creating your stealth account without being linked to any other accounts. That’s why forums, blogs and even eBooks like Amazon Ghost were created to help honest sellers get back on Amazon. That’s what Amazon stealth means. It’s a term used years ago with the release of ‘eBay Stealth‘ and then it carried over to Amazon, where ‘Amazon Ghost’ was born. Note: The guide released by AmazonStealth.com in my opinion is a complete waste of money. The author Dino Vidovic simply rehashed information from eBay Stealth, even using some of the same images and wording from the eBook and slapped the name ‘Amazon Stealth’ on it. This is not Amazon Stealth. In my opinion it’s complete crap. The only Amazon stealth guide I recommend is from aspkin, Amazon Ghost. Is your Amazon account suspended or blocked? Maybe I can help, leave your questions in the comments section. Selling on Amazon could be quite profitable. In fact, plenty of people have been using Amazon as an alternative means of earning money online. Some even work full time on Amazon and focus on it 100% for their own online business. Like any other community, Amazon has established its own rules and policies that all users must comply with. Anyone who violates those rules will be punished accordingly, either in the form of a suspension or worse, getting completely banned from their system. While it is true that they have dealt with such problems in a reasonable fashion, their system is also far from being perfect. From time to time, users would have their accounts suspended, blocked or banned for no apparent reason at all. Here is where Amazon Stealth accounts come into effect. Just what exactly are Amazon Stealth accounts? See, when you registered on Amazon, you were asked for personal information as part of the registration process. All those information were stored on their database. When you get suspended or banned, the first thing that comes into your mind is to create a new account, right? When you create a new account, you go through the same process as you did when you first created one. But the catch is, Amazon will find out that you have previously created an account, and thus will prohibit you from a successful account creation. Amazon Stealth account’s mainly functions as an account that will pass Amazon’s security system. It basically is an account that won’t get linked to your old identity. You can continue doing your business online in case your old account gets suspended or banned. Learn more about an Amazon Stealth account. Has Amazon blocked your account? Are you suspended with no chance of reinstatement? If you’re tired of wasting your time and you just want to get back on Amazon then I recommend you read Amazon Ghost, the ultimate Amazon blocked account guide. Amazon Ghost will show you step-by-step how to get back on Amazon without being linked or shut down ever again. Don’t waste anymore time trying to figure out how to do something that has most experts confused. Join the elite group of sellers who have successfully created new accounts following the tactics in Amazon Ghost and get your business back! If you’re Amazon account is blocked and you’re losing money each day you’re not selling then there is no time to lose. Would you rather spend weeks or even months trying to figure out how to get back on Amazon? Or would you rather get back to selling today with Amazon Ghost? Stop wasting your time and follow the proven step-by-step tactics and get back on Amazon today with Amazon Ghost! We all know that the Amazon is the center for online trading. Amazon is the most frequently used website for internet commerce, than any other e-commerce website. Amazon is a source of income for thousands of people from across the globe. You might be one of these people who are earning either part-time or full-time by carrying out online trading through Amazon account. That means that your Amazon account is a viable source of your income. If you ever had the misfortune of having our Amazon account banned, then it will become quite an ordeal because that means you just lost money. A banned & blacklisted account on Amazon is the worst possible situation you could ever face. And even if you try to create a new account, Amazon will still somehow identify and associate your previous identity to your newly created account and immediately suspend you. In such situation it is difficult to get a new account started. What are the effects when your Amazon account gets suspended? All of your personal information associated with Amazon account gets blacklisted such as your IP address, E-mail address, phone no. etc. Account suspension can be a great disaster for a person who totally depends upon Amazon account for trading as source of income. As mentioned above, running auctions will be closed upon suspension. This means that you may lose a significant amount of money. It’s even possible that you will not be paid for the listings that you have already finished. You have to immediately pay the dues that you owe to Amazon or Amazon users in case your account gets suspended. No excuses will be entertained by Amazon. As mentioned in this article, your personal details get blacklisted once your account is suspended, which means that Amazon will not give you a second chance to create an account with the same user information. Amazon suspends your account indefinitely, which means that you can reinstate your account only if Amazon allows it. Usually, Amazon suspends an account for thirty to sixty days in case that account violates the terms and conditions of Amazon. Amazon Ghost can help you create new account and start online trading again. Give it a read and get back to business! Is your Amazon account suspended? Are you blacklisted on Amazon? Then I’m sure you’re sicken to your stomach and frustrated. Would you like to know the solution to your problem and how you can get back on Amazon and continue selling without another suspension? I introduce you to Amazon Ghost (Amazon Stealth eBook) by Aspkin. Amazon Ghost is a complete step-by-step guide which shows you how to easily get back on Amazon and stay on. It has been heavily researched and tested with hundreds of sellers to successfully get them back on Amazon. Are you next? If you have tried and failed to get back on Amazon, you’re not alone. You’re among thousands and hundreds more everyday whom have been banned by Amazon, losing your business and your freedom. Most of the time a person will just get blocked by Amazon for no reason. Not only that but without notice. If you’re ready to get back on Amazon and learn the step-by-step techniques tested and proven to create successful Amazon seller accounts then you need to read Amazon Ghost. Stop the guessing games, stop trying to do it yourself. Why waste hours upon hours of research when the complete step-by-step guide is here in front of you. Time is money. Read that again, time is money. Think about it.. how much money are you not making right now because you’re unable to sell? Wouldn’t you like to get back to selling today? That’s how fast most readers of Amazon Ghost get a new account up in running. Or do you want to mess around for weeks on end with hear say information floating around the web. Amazon is the most advance online marketplace with bank level tracking and linking of accounts. You need help, you need Amazon Ghost. Amazon suspending accounts without any kind of notice or warning is sadly a norm for these days. The reason Amazon might suspend an account can be due to a number of reasons. If your account was suspended, wouldn’t you like to know how to get back on and continue selling? Some like to jump to creating a new account without any research an Amazon tracking.. for those people their accounts almost never last more then a couple hours. Frustrating, isn’t it? Luckily you found this website! First, you need to understand why your account was banned and second; you need a solution to this problem. Would you like to know the full details of how Amazon tracks an account and how you can create your own stealth account? Amazon Ghost (amazon Stealth guide) contains all the details to getting you back on Amazon and how to avoid another blocked account. It’s in an easy to read and understand step-by-step guide created by the same person who wrote eBay Stealth! With the help of Amazon Ghost (amazon stealth eBook), you can easily conquer problems related to Amazon account suspension and get your account back up and running again. Good luck to you! Amazon Ghost (Amazon Stealth eBook) is a book which aims to help those who have had their Amazon accounts blocked. 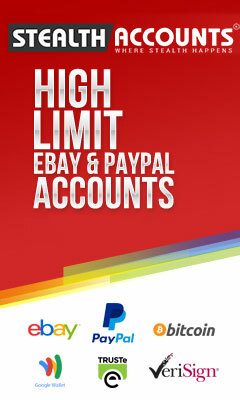 It is relatively easy to recover an account on eBay or PayPal, but it’s a completely different story on Amazon. Amazon uses very advanced techniques and tools to trace identities. If you fail to follow Amazon’s rules then your account will be suspended without any notification from Amazon. If you are fortunate enough you will receive an email from Amazon mentioning the reason behind the suspension. However, in many cases, Amazon bans accounts without prior notification. In such cases, every time you try to login to your Amazon account, all you will get is a message stating that “Password is incorrect”. This is the one ways Amazon likes to let you know that your account is suspended. You may attempt to reset your password but that effort would just go to waste. And like rubbing salt to a wound, Amazon will also hold your funds for at least 90 days. Of course, it is possible that you made a mistake unintentionally, but this doesn’t have to mean that your account should be suspended without any notification or warning. But we can’t deny the fact that this is Amazon’s policy, and we can absolutely do nothing about it. What we can do is, legally follow some steps that will help you get back on Amazon and continue selling. But the question is this: Where will you get that information? The answer is really simple. All answers are systematically incorporated in Amazon Ghost (amazon stealth eBook). You can avail this eBook in order to effectively deal with Amazon’s policies and suspension. The steps and techniques required to get you back on Amazon have been heavily researched laid out in step-by-step fashion to get you back on Amazon and quickly as possible without any further lost accounts. We know how vexing it is to find your account banned without even a single idea why and how it happened. We can help you avoid this situation by following the steps outlined in the Amazon Ghost (Amazon stealth guide). This eBook will not only tell you the possible reasons behind the suspension but will also teach you how to overcome such situations. We understand your aggravation of being suspended by Amazon and offer you the complete step-by-step solution to get your Amazon account back! Amazon Ghost (Amazon Stealth guide) is a guide which aims to resolve the problems of your suspended account on Amazon. If you are worried about the possibilities of having your account blocked by Amazon or you already are a victim of a blocked Amazon account, then we have the ultimate solution to your worries. Utilizing stealth tactics we eliminate the frustrations of having trying to get back on Amazon after a being banned. Amazon Ghost (Amazon Stealth guide) contains all the necessary details to teach you how to get back on Amazon after a suspension. We understand how horrible it is to receive a notice of suspension out of the blue, jeopardizing your online business. You’ve sent hundreds of emails to Amazon to get your account reinstated but your efforts just go in vain. With the help of Amazon Ghost, the ultimate Amazon stealth guide, you can quickly and easily get back on track and start selling again. With Amazon Ghost you will learn how to overcome anything that Amazon may throw at you. Amazon uses very advanced techniques to track users. This means that if your account was banned and you create another account then Amazon you will be traced and banned in just a matter of days. Erasing cookies or changing your IP address won’t help fix the problem either. If you want to carry on with Amazon and you’re really interested in selling again without any problems then Amazon Ghost is what you need! If all your recent tries to get back on Amazon failed and you are constantly getting blocked, Amazon Ghost (amazon stealth guide) is instrumental in circumventing around those obstacles. Amazon Ghost can actually help you avoid getting caught by Amazon. Trying to get back on Amazon is actually a lot harder than trying to get back on eBay. We will show you step-by-step everything you need to know to get back on Amazon and stay on. If your Amazon seller account is blocked then you are faced with the harsh reality of not being able to use your account, and the inability to create a new account using the same credentials. Amazon’s way of authenticating and tracking identities is very formidable. It is able to restrict the person who uses the same address or same information from creating a new account. If your account is blocked that means you are restricted to continue any trading from your account. We all know how frustrating it is to find your Amazon account blocked without you having any idea of how it even happened. Our Amazon Stealth guide, Amazon Ghost holds the key to handle this situation. Amazon Ghost was designed in such a way that anyone can follow and get their account back up and running in an easy to read and understand guide. You can save your online business from getting banned with the help of Amazon Ghost. Follow Amazon Policies – It is good to follow Amazon policies in order to maintain your Amazon account. All the rules and regulations related to online trading should be read carefully before starting an online business through Amazon. Be Honest – If you actually want to grow and expand your trading business then it is advisable to adopt honesty. Maintaining transparency in the business is necessary to gain the respect of the customers. Doing honest business on Amazon is the best way to avoid account suspension. Always make sure to deliver same products that you highlight while trading, as this increases your integrity and helps you earn the trust of your buyers. If your Amazon seller account was recently blocked, I highly recommend you read Amazon ghost (amazon stealth) guide to getting back on Amazon. It will teach yous step-by-step easy to follow instructions to get you back up and selling again in no time. An Amazon suspension is sadly pretty common these days. From my experience 1 in 10 sellers will have their Amazon account suspended one way or another. This is obviously a scary and troubling experience for sellers, especially when you don’t know the reason why Amazon suspended your account (aka blocked account). Sometimes your account may get banned because you did something unintentionally, you had low feedback or too many claims against you. It’s always good to do as much as you can to prevent a suspended account because once you’re blocked/suspended from Amazon you’re going to have a difficult time getting back on. The good thing is if you have been suspended by Amazon there is a guide called “Amazon Ghost” which in my opinion is the ultimate guide to getting back on Amazon and staying on after a suspended account. It teaches you how to avoid linking your accounts and how to keep your stealth accounts up and running for years. Amazon Ghost will eliminate all the troubles related to suspended accounts and is beneficial in understanding the causes & solutions for your account suspension. There are a lot of reasons why your account may be suspended by Amazon. If you make another account after deleting cookies or by changing your Internet Protocol (IP) address, your accounts will still be linked and suspended. We know that it’s a difficult situation to deal with. However, we have come up with the solution to overcome this problem. Amazon Ghost will teach you step-by-step techniques that will help you get back on Amazon and stay on after a suspension. Let us make you aware of the fact that Amazon, in any case, will not allow you to create a new account with the same old credentials. Amazon’s system is so powerful that it will trace and link your identity in no time and get your new account banned immediately. Amazon Ghost e-Book is the key to creating a new stealth Amazon account. The guide was designed after months of research and testing. All the techniques listed in Amazon Ghost are effectively tested and practiced. It is advisable to purchase your copy today and get an edge over your competition. It’s a small price to pay to keep your business running and money in pocket. Good luck! Your Amazon account is suspended, now what? I hear it all day long, someone gets one negative feedback and Amazon says enough is enough and will suspend your account. They hold your funds for 90-days and if you’re lucky you’ll get a email letting you know what happened. If you’re unlucky Amazon will simple delete your account and let you figure out what to do next. Seriously Amazon will delete your account without a word. When you try to login you won’t be able to. You’ll get a notice saying your password is incorrect. Even if you reset your password it won’t help things. That’s just one way Amazon let’s you know they suspended your account. If you have recently been suspended by Amazon let me know about it. We all make mistakes and I feel we shouldn’t be punished and suspended without warning. Even BRAND NEW accounts are shut down even before sending out any items. It happens all the time! Amazon will suspend your account just because. If you want to get back on Amazon and you’re tired of being suspended then you’re going to need Amazon Ghost. It’s a complete step by step guide to getting back on Amazon without being linked or suspended again. If you read the guide already, then let me know how it worked for you. Have you recently received a suspension notice from Amazon? Is your account blocked and funds being held for 90-days? The reason Amazon suspends an account is usually due to low feedback, complaints against you, the type of items you’re selling or they link you to blocked or suspended account and decide to shut you down. It’s not fair right? It’s said that only around 10% to 20% of customers actually leave feedback. It’s a chore on it’s own to get enough feedback to make Amazon happy. On top of that what if you’re too slow on delivery.. one complaint against a brand new account is usually enough to get a suspension. Not to mention a complaint of the QUALITY of items you’re selling is usually an instant suspension for any seller. Selling high-end items on Amazon is risky business. After an Amazon suspension you can attempt to fight it and reply back for reinstatement (Amazon will listen) but the chances of getting your account back is pretty slim. Especially for A-to-Z issues or selling high-risk items. If you just made a simple mistake for example slow delivery of items you may get a second chance and get your suspension reversed. I wouldn’t hold you breath for a reinstatement though. There are ways to get back on Amazon after a suspension. If you’re trying to get back on Amazon and you’re having a hard time let me here about it and I’ll try to help. Post you questions in the comments section. If your Amazon seller account has been suspended or blocked by Amazon, then keep reading. Thousands of people each day are blocked by Amazon for little to no reason. You could be happily selling one day and the next shut down forever! What happens when you lose your account? Your account is blocked, even removed completely sometimes. Yes, you will try and login to your Amazon account only to find it completed removed. So how do you get back on Amazon after losing your account? Well, the first thing you need to do is to clean your computer. Amazon is able to track your IP address, browser cookies, flash objects, personal account details among other things to link you to a previous blocked account. Amazon’s way of tracking and linking your accounts is MUCH more advanced then eBay or PayPal. I even suspect they utilize 3rd party websites to track members. You know those websites that display Amazon advertising? Amazon can easily utilize these sites to track you. In other words Amazon is everywhere. Any Amazon affiliate can be a spy linking your accounts if you’re not careful. I recommend reading Amazon Ghost if you want to learn how to get over your Amazon suspension and blocked accounts. The guide will shows you how to create new Amazon accounts without becoming linked and shut down again. It shows you step by step what you need to do to create your accounts. It lists ways to create your account without get suspended over and over again. It was created with advance and notice users in mind. If you have been blocked by Amazon and you want to get back to selling, then read Amazon Ghost today. In any situation, a suspended or blocked account is a bane to our daily lives. We have to go through all of the hassles of not being able to continue any transaction because we are prohibited to, due to the account being under suspension. The same is true about Amazon. Amazon started out by selling books online, and has branched out to selling other things, with DVDs, music CDs, electronics and toys to name a few. If you are familiar with eBay, then you should have an idea of what and how Amazon works. The greatest problem that users could ever encounter is account suspension. In fact, a lot of people have fallen victim to Amazon Suspension. They log on to their account, only to find out that they can’t because they are suspended. Or they might have gotten a letter from Amazon saying that their account is subjected to suspension. In some cases, the user doesn’t even know the reason behind the Amazon Suspension. The Amazon Suspension could stem from various reasons, but all of them due to violations of certain rules imposed by Amazon. Users who got suspended won’t be able to login to their accounts, and is prohibited from doing any transactions. It is a very sticky situation indeed to those who are using Amazon as a means of generating income. Luckily, there’s a way around that problem. Ever heard of stealth accounts? Normally, when people get suspended or banned, they won’t be able to create new accounts, thanks to Amazon’s sophisticated tools that track and link people’s identity. Stealth accounts address that problem. As the name suggests, it is an account that can sneak past Amazon’s defenses, thus allowing the uses to have an account back at Amazon. Thanks to that, Amazon Suspension could easily be solved. To know more about stealth accounts and how to create them, try getting a copy of Amazon Ghost. Amazon Ghost is your guide to stealth accounts and everything there is to know about Amazon. Have you been suspended or blocked by Amazon? Is your online business on hold and you don't know what to do? I recommend you read Amazon Ghost today and learn step-by-step how to get back on Amazon and continue selling without fear of being linked and suspended again!